In the first video below you will find Henry W. McElroy, Jr, retired State Representative to New Hampshire, declared that former U.S. President Eisenhower was briefed about the presence of extraterrestrial intelligent beings on Earth. McElroy also said that the document he viewed while at the State Legislature made referrence to the opportunity for Eisenhower to meet the alien visitors. The second video addresses the question, did President Dwight D. Eisenhower secretly meet with ETs. This detailed research project presents the facts around one of the most enduring "urban legends" of our time and tells the true story of President Dwight D. Eisenhower's ET contact in the early 1950's. Did he meet extraterrestrials face to face? And did he make a top-secret treaty with aliens from another world that would effect our national politics to this day? Could the truth be stranger than fiction? Get the facts about UFO Secrets of World War II. This event, may change the way we stare up at the stars for years to come. A former representative to the New Hampshire House of Representatives has released a video statement revealing he saw a secret brief to President Eisenhower concerning extraterrestrial life. In his statement, recorded on May 8, 2010 in Hampton Virginia, McElroy claims that the brief revealed that extraterrestrials were present in the United States, they were benevolent, and a meeting could be arranged for Eisenhower. I would like to submit to our nation my personal testimony of one document related to one of these ongoing topics which I saw while in office, serving on the State Federal Relations and Veterans Affairs Committee. The document I saw was an official brief to President Eisenhower. To the best of my memory this brief was pervaded with a sense of hope, and it informed President Eisenhower of the continued presence of extraterrestrial beings here in the United States of America. The brief seemed to indicate that a meeting between the President and some of these visitors could be arranged as appropriate if desired. According to the brief, the extraterrestrials were benevolent. As a retired State Representative, McElroy’s testimony carries weight since he is a direct eyewitness of a document seen during his official duties. 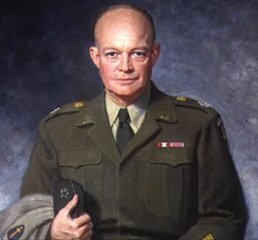 His testimony supports the claims of others that President Eisenhower secretly traveled to Air Force facilities in 1954 and 1955 to have meetings with representatives of one or more extraterrestrial civilizations. The most well known case involves a secret meeting at Edwards Air Force base in February 1954 that Eisenhower allegedly attended to meet with extraterrestrials to discuss nuclear weapons testing. In addition, UFO researcher Art Campbell, has located several eyewitnesses to a second secret meeting at Holloman Air Force base in February 1955 where President Eisenhower again allegedly met with extraterrestrials. McElroy’s testimony is a welcome breakthrough to learning the truth about long forgotten events whose impact on American society and world history continue to be largely unknown. His testimony boosts the case for the creation of Extraterrestrial Affairs commissions at local and state government levels, similar to that scheduled for voting in Denver in August 2010. Such commissions will be mandated to discuss evidence concerning the existence of extraterrestrial life, and to educate local populations about related issues. McElroy's testimony comes less than two weeks after the Governor of a Russian Republic revealed on national television his own experiences concerning extraterrestrial life. Given the reluctance of Federal authorities in both the U.S. and Russia to discuss evidence of extraterrestrial life, it is a welcome trend that former/current state officials are beginning to come forward to reveal their experiences.